ROCK ISLAND ARSENAL, Ill. -- RIA employees and others gathered outside Building 102 here July 24 to attend a ribbon cutting ceremony celebrating the expansion of the Civilian Human Resource Agency North Central Region as it prepares to support the Department of Defense Education Activity. CHRA is an agency that manages human resources for select DoD organizations. Its North Central Region office will now manage the human resources responsibilities for DoDEA, one of two federally operated school systems responsible for managing and coordinating comprehensive education programs. CHRA's expansion is projected to bring approximately 160 new jobs to be filled at RIA through fiscal year 2019. "This is a really wonderful partnership that will be good for our country and for the next generation," said Maj. Gen. Duane Gamble, commanding general, U.S. Army Sustainment Command and RIA senior mission commander. 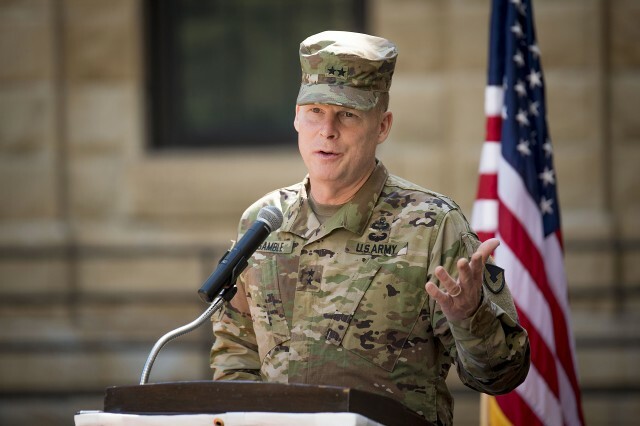 Gamble said the creation of more jobs is evidence that RIA has strong momentum as its leadership prepares the installation to support the Army of the future. 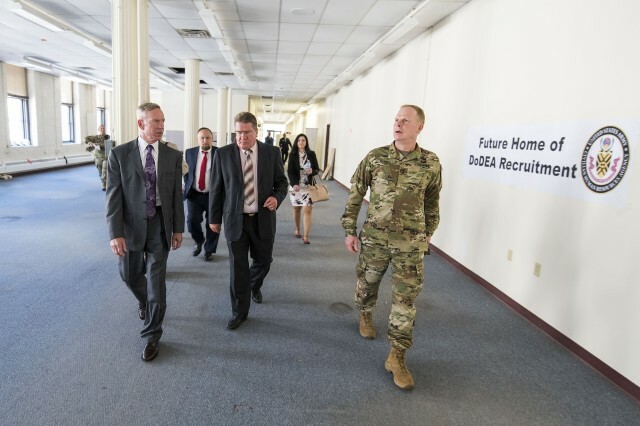 "I want to congratulate all the DoDEA and CHRA teams for all the work they've done during this transition," said Robert Brady, associate director for financial and business operations at DoDEA. "The transition happened very quickly, thanks to the professionalism of both teams." Brady also recognized the Army Benefits Center in Fort Riley, Kansas, which will also provide human resources services to DoDEA. DoDEA operates 164 accredited schools in seven states and 11 foreign countries, as well as Guam and Puerto Rico. The schools are grouped into three geographic regions in Europe, the Pacific, and the Americas. DoDEA's headquarters are located in Alexandria, Virginia. 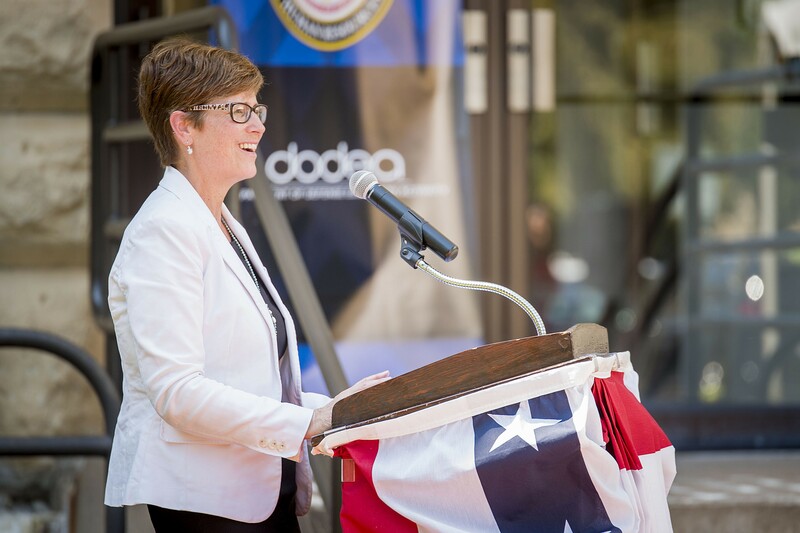 DoDEA employs approximately 15,000 people and serves more than 72,000 children of active-duty military and DoD civilian families. DoDEA offers educational programs from pre-kindergarten through 12th grade. CHRA is implementing a phased approach for providing assistance to DoDEA employees. The services include support for employee benefits; personnel records; recruitment; pay inquiries and allowances; automated systems for data entry, processing and record access; and overseas entitlements. 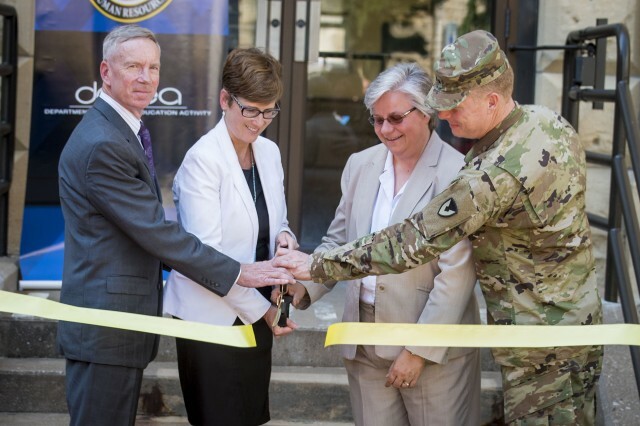 "This is a historic day, a great day for RIA and for the great [Quad Cities] community as we officially celebrate 'Excellence Through Partnership' between CHRA and DoDEA, and the future renovations of this wonderful Building 102," said Nancy Lane, director, North Central Region, CHRA. 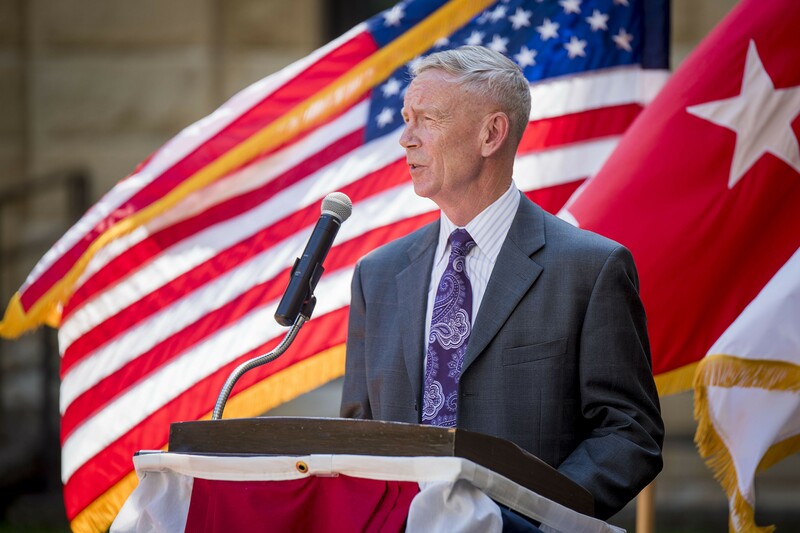 "I have spent the majority of my 35 years as a civilian employee at Rock Island," Lane continued. "The key factor in me remaining here for most of my career was the strong work ethic in the community." CHRA will soon begin renovations to provide workspace for the new employees. The southwest wing of Building 102 is scheduled to be remodeled, which will include new offices, new workstations, and new equipment. The 160 positions will be filled with both new and existing CHRA employees, including some who will be transferring from other locations. "There are many reasons we refer to RIA as a national hidden treasure," Lane said. 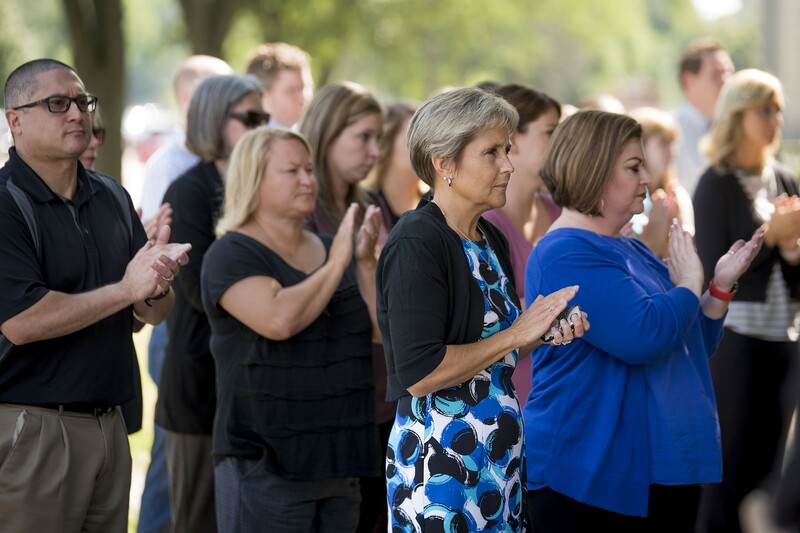 "Part of that is our workforce, their strength and their work ethic. We are thankful that DoDEA recognized it. "To the greater Quad Cities community -- thank you for all the support you provide to the Arsenal, and to our Soldiers and their families," said Lane. "This is really a great place to work and live, and I can say with certainty and confidence that this newly founded CHRA-DoDEA partnership will lead to even greater opportunities in the future."